So, you lucky soul, you have a Atmel JTAG ICE Mk II, AVR Dragon, or an AVRISP MkII on the bench. 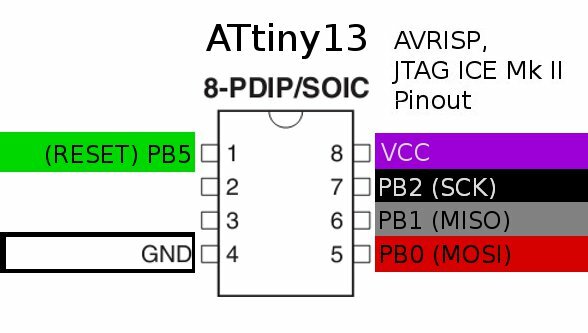 Can't remember the pinout for the AVRISP port? Or the color codes on the squid cable? Me either. Here's a reference guide to help you. 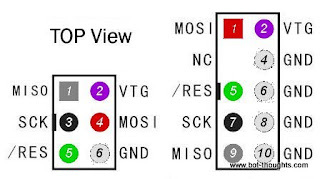 Here's the AVRISP pinout diagram for both the 6-pin and 10-pin AVRISP header. Pinout for Atmel ISP, AVRISP MkII, JTAG ICE Mk II, etc. 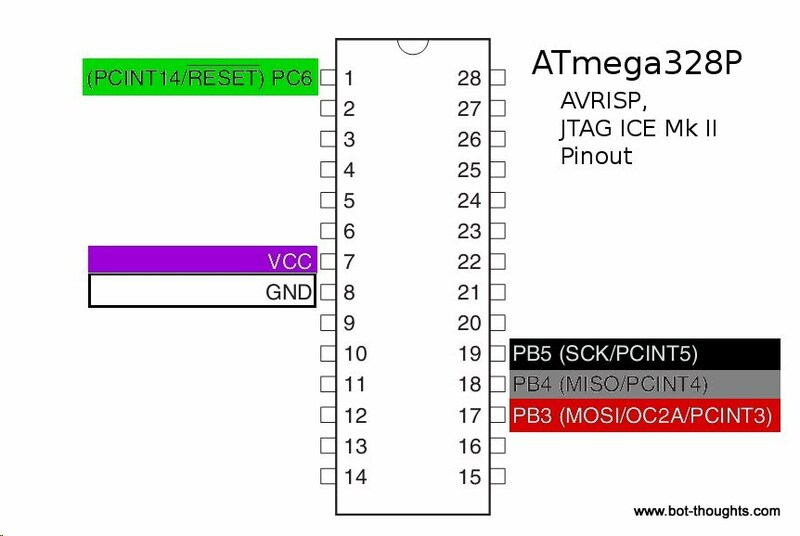 Refer to the following if you're using a 28-DIP ATmega328P, ATmega8, ATmega48, ATmega88, ATmega168, and other 28-pin ATmega AVR microcontrollers (check the datasheet). 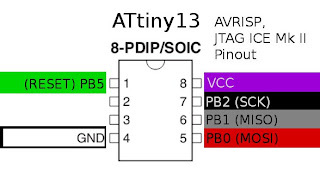 This diagram shows AVRISP pinout diagram for programming ATtiny2313, ATtiny2313A, ATtiny4313 AVR microcontrollers. 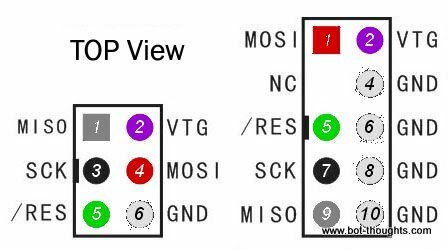 My eeZee Tiny breakout boards include AVR ISP headers so you don't have to remember the pinouts above. They're low cost and available from my store on Tindie. If you think others might benefit from this article, could you do me a favor and share it? Thanks!